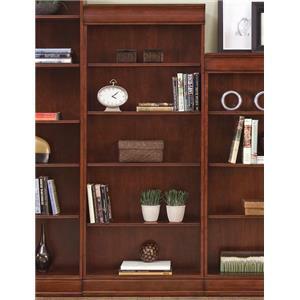 This decorative storage bookcase will help organize your home with three shelves for storage and display. 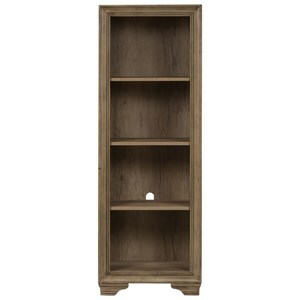 Featuring smooth finished sides with a beveled case top and simplistic base, this medium height bookcase supplies enough room for the keeping of items with a height that is not too tall and overbearing. Place this bookcase in your living room, family room, bedroom or office for a decorative display case that will also help you organize. 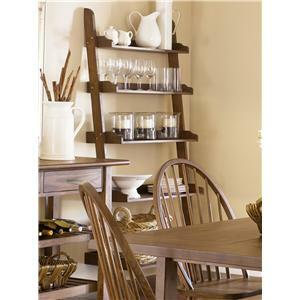 The Brentwood Casual 48" Bookcase for Home Organization by Legends Furniture at Van Hill Furniture in the Grand Rapids, Holland, Zeeland area. Product availability may vary. Contact us for the most current availability on this product. Finish All finishes are multi step, durable and great looking. Finish & Paint Options Available in Paint and Finish Options Shown. Additional Options may be Available Through Special Order Methods. Construction: Case Solid wood integrated frame construction for superior strength. Select hardwoods and veneers. Constructed with select hardwoods with traditional or exotic real wood veneers. Extensive use of cleating and corner blocked as needed for stability. Many case pieces have levelers on the bottom. Quality dado construction process for extra strength, durability and structural integrity. Come home to the Brentwood office and entertainment collection. A set of furniture designed to organize your life, this smooth styled furniture collection features a homey aura that incorporates a casual design with a contemporary feel. Smooth finished wood surfaces combine with decorative feet, beveled bases and casual paneled storage doors. Traditional knobs create easy pulls adding a touch of accent in a simplistic style. Comprised of home storage pieces that are carefully crafted with shelves, drawers and storage doors, this collection will bring decorative style and organization to your home. The Brentwood storage collection is comprised of a desk, file cabinet, bookcases and entertainment cabinets. The Brentwood collection is a great option if you are looking for Casual furniture in the Grand Rapids, Holland, Zeeland area. 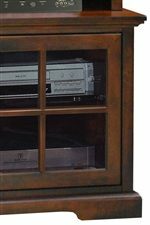 Browse other items in the Brentwood collection from Van Hill Furniture in the Grand Rapids, Holland, Zeeland area.